Green Tea Leaves - Rosacea's Natural Ally -Cont. ​​Rosacea is a common skin condition which develops in phases. Typically, it starts with a tendency to blush -- rosy cheeks or redness and swelling in the center of the face which can progress to papulopustular rosacea. Tiny pimples begin to appear in and around the red areas. Treatment can control the symptoms and prevent the condition from getting worse. Untreated, the condition can lead to chronic inflammation; the nose takes on the appearance of becoming red and enlarged. Pressed green tea extract has been tested on 60 subjects aged 25 to 50. All had visible signs of rosacea with papules and pustules as well as redness and swelling. Prior to starting treatment, and weekly after treatment began, photographs were taken of the clients’ faces. Half of the clients used the green tea extract moisturizer and cleanser, and half received placebo products. The clients applied green tea products to their faces twice a day for four weeks. At the end of four weeks, "marked beneficial improvement" was observed in both groups, say the researchers. However, treatment with the green tea extract resulted in significantly fewer facial inflammatory lesions than placebo treatment. Clear, marked improvement of inflammation was seen in 70% of the clients treated with the green tea products. The study also emphasizes that green tea extract facial care products are a natural choice for the rosacea because earlier research suggested that green tea extract has natural anti-aging and anti-papule properties. "The green tea has a soothing quality that helps the redness," researchers say. The most effect way to get the full benefits of green tea leaves is to use them within 24 hours of picking them, before the turn dark and ferment. November 21, 2013. Yesturday on Dr. Oz, the topic of Rosacea was covered.Once again Green Tea products were promoted as an excellent inflammation reducer and friend to Rosacea suffers. Rosacea is an embarrassing condition that strikes many of us as we age and it can often be wrongly confused with acne. What causes Rosacea? And what can we do about Rosacea? On a previous episode Dr. Oz brought a woman named Carol up from the audience. Carol has Rosacea. She says that she gets redness or blotching on her skin when she drinks alcohol, but is not sure if she has rosacea. Dr. Oz tells her that Rosacea tends to occur in people with a propensity to blush or get flushed and the causes can vary. For example, Hot Flashes can cause Rosacea, which is why peri-menopausal or menopausal women are prone to developing this condition later in life. He tells her that while Rosacea effects women of all colors, people with pale skin and light hair tends to happen more frequently. More severe Rosacea happens when your blood vessels get engorged and stay large rather than going down, which can make cheeks and chin turn red. You can get little mites (tiny animals) that stick to your skin and cause a somewhat grainy texture, and you can also get an infection in other parts of your body which leads to an overall body inflammatory response. Dip a wash clothe in green tea and let is soak on your face for 10 minutes. Green Tea is a wonderful healer for rosacea. See our Green Tea facial care products below. -Sea Buckthorn Oil for mites. 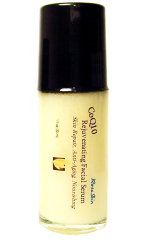 This antioxidizing oil also great for your skin, and has been touted as a highly effective remedy for rosacea. Just apply the sea buckthorn oil topically to your face as part of your daily beauty routine. Click here to read more about Sea Buckthorn Oil. Green tea is already a Rock Star amongst the "natural" medicinal products, but now Green Tea Leaf extract has made a giant splash in the healing of rosacea. Researchers have found that rosacea sufferers treated with green tea facial care products had remarkable improvement in redness and pustules. Bottom line green tea cleanser for rosacea really works. 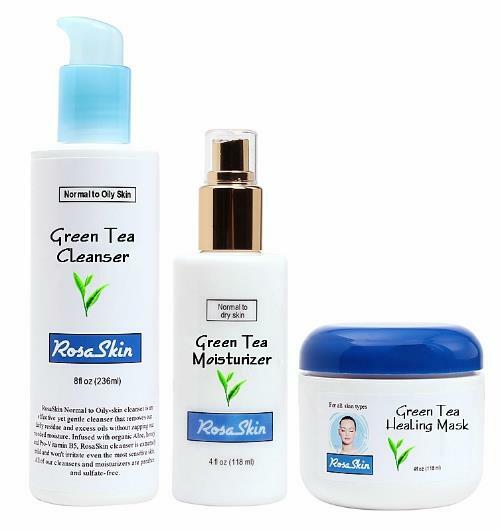 ​​RosaSkin Green Tea Cleanser and Moisturizer for rosacea contain extract from green tea leaves that have been distilled within 5 hours of picking. ​​Our Green Tea Cleanser and Moisturizer also contain a pure form of Willow Bark Extract, a highly effective anti-inflammatory agent that does wonders in calming rosacea irritated skin. Green Tea Moisturizer and Cleanser are particularly beneficial for Rosacea sufferers who experience outbreaks, sensitivity and severe inflammation. ​​​​​​​The Green Tea Trio includes Green Tea Cleanser 8oz, Moisturizer 4oz and CoQ10 Rejuvenating Facial Serum. 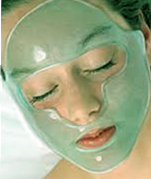 You may also add the NatraGel Hydrating Gel Mask as an option. See description below. ​the ability to ​deliver hydration and nutrients to the skin like no other. Great for tired, red or puffy eyes; and the benefits of increased hydration enable NatraGel to help reduce the appearance of fine lines and wrinkles on the skin. Using NatraGel in combination with RosaSkin’s Rejuvenating Facial Serums is also a highly effective way deliver maximum benefit to the skin and reduce oxidation of ingredients.